We would like to welcome you to a place where your gifts and calling will be fanned into flame. Here you will find sound biblical teaching paired with exciting and practical ministry opportunities. Our program is intentionally designed to encourage and enable you to build close friendships with your peers, and life-long relationships with a mentor that will be a source of strength in the years to come. 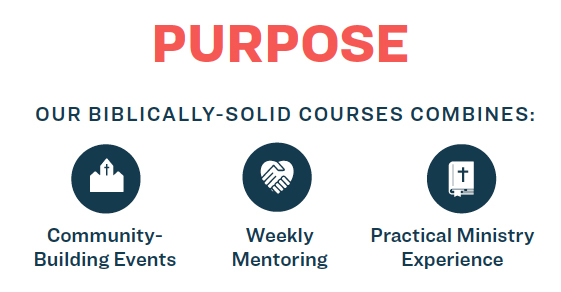 With this well-rounded approach to ministry training, we commit to equipping and supporting you for a life of fruitful service in the body of Christ.